Today I have Katie Femia from The Homespun Hydrangea sharing a fabulous DIY project! 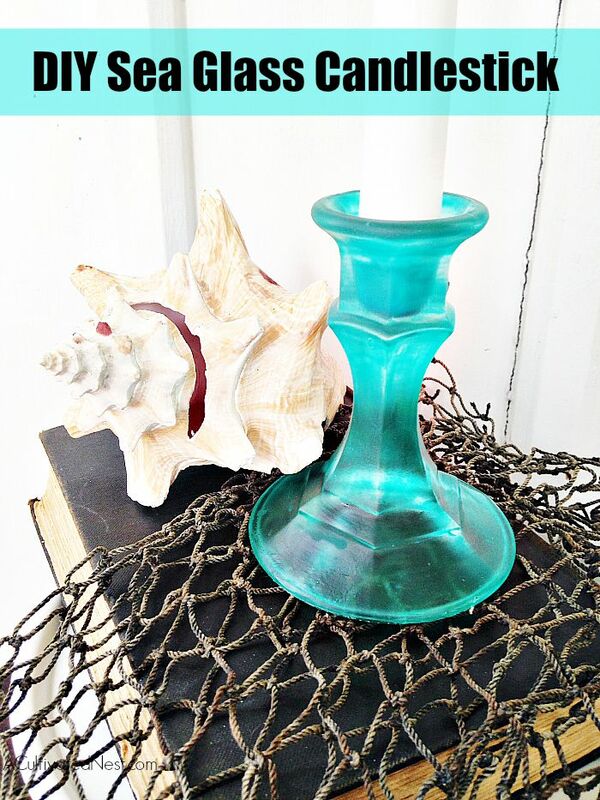 If you love a beachy look, you are going to love this super easy way to make sea glass candlesticks! 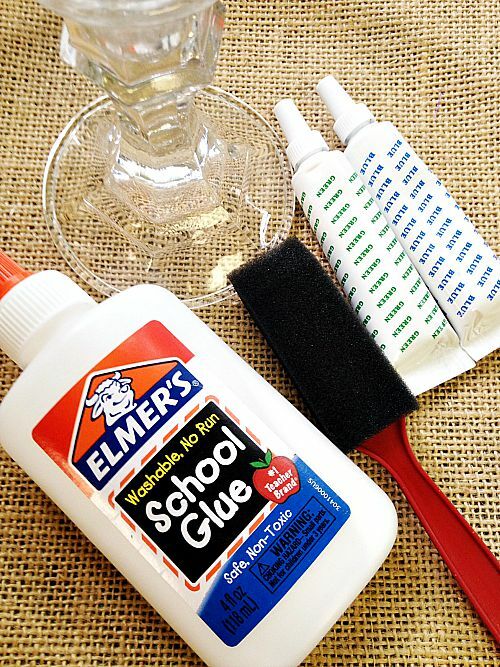 This technique can be used on any glass object such as vases, mason jars, or bottles. Here’s how you do it! 1. In your mixing bowl add the ¼ cup of glue. 2. Add in one drop of each of the food colorings at a time and mix. You want to gradually create the sea glass tint. 3. Continue adding a drop at a time of each of the colors and stirring until you get the hue you wish. You want a sea green color. You can sample the color by simply swiping it on a clear glass surface and seeing what it looks like. It will wipe away clean with soap and water. 4. 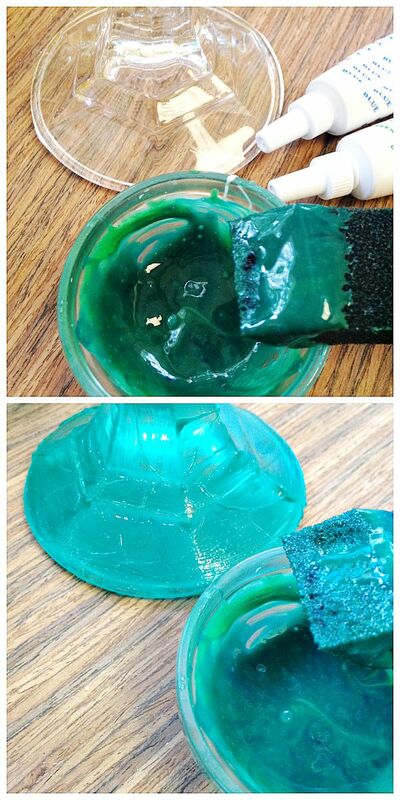 Use the sponge to wipe the colored glue onto the glass. For this candlestick, I applied the color to the surface of the glass as well as underneath. 5. Apply two coats, letting the coats dry in between applications. 6. Once your glue is totally dry, the colorful matte finish will appear. Your sea glass candlestick is now ready to be enjoyed! Katie Femia is a blogger and YA author who loves stretching a buck, trying her hand at those Pinterest pins, and watching old black and white movies. A good day is one where she gets the chance to be creative and thrifty! You can see her latest projects at www.thehomespunhydrangea.com and www.katiefemia.com. I love this color, and this is a pretty and easy project. This turned out so pretty. 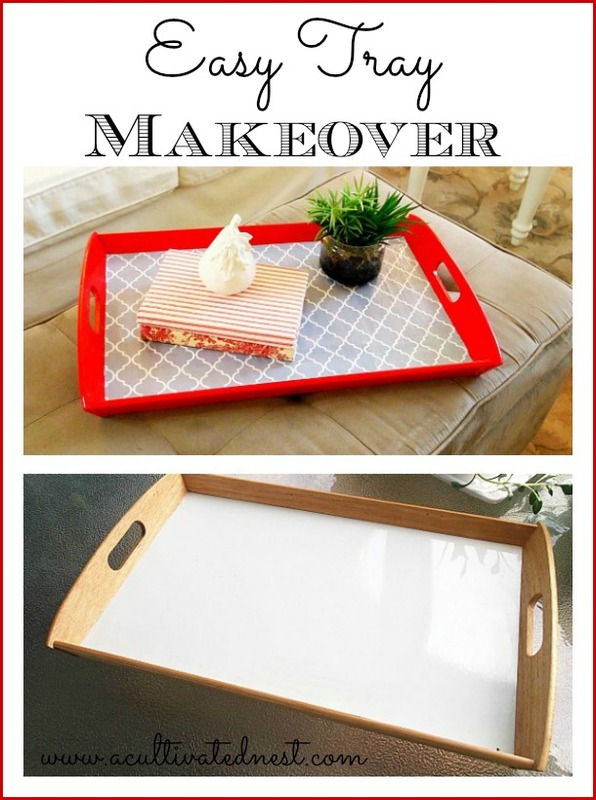 Such a great repurposing! 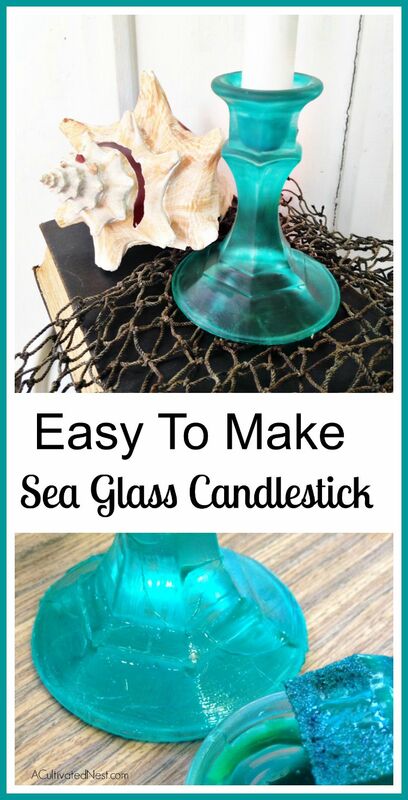 Really cute and easy project — and I LOVE anything to do with seaglass! Thanks for sharing. Oooooh, my favorite color! Since I live in Florida, this is a perfect craft to place around our beach finds! Gorgeous! I can’t get over how much it really does look like sea glass. It would be so pretty to paint a few different sizes of candle sticks in different shades for a centerpiece. The colour of this candlestick is gorgeous and a perfect addition to your household. What a great idea! I love the look of sea glass. This looks so simple to do. Love this!! Can’t wait to try it! Ahh this is genius! Who knew how easily you could recreate sea glass?! These would look perfect in my living room…right next to the basket of shells on the bookcase! And they look easy enough…which I love! Those are so pretty! I’ll have to do this. wow! thank you! I love this project, perfect for my beach house. This is SO gorgeous! I really want to try it! So beautiful! I love how this comes out! This is so pretty! I have a few clear glass pieces that could benefit from a bit of an update. Thanks for the idea! I love this tutorial! Thank you for sharing at the Home Matters Party! I love the color and will be pinning this for later use. I love this. What a simple project. Thanks for sharing on Idea Box! That is beautiful!!! I have a bunch of clear vases, that I bet this would be great with, too! Thanks for the idea!